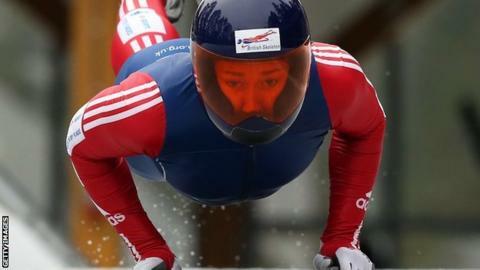 Great Britain's Lizzy Yarnold earned her second Skeleton Wold Cup win of the season with victory in Lake Placid. Yarnold, 25, clocked 56.27 seconds to beat Austria's Janine Flock (+0.34) and build on her third place finish in Saturday's World Cup event. American favourite Noelle Pikus-Pace was third (+0.45), but Yarnold's win extends her championship lead to 164 points over compatriot Shelley Rudman. The fifth race in an eight event series takes place in Germany on 5 January.